You see my Father and I, we haven't really got on. Pretend it was all right, but both knew something was wrong. There was irritation, miscommunication, in desperate need of reconciliation. I didn't want to be around him and felt that it was mutual. Not wanted, not needed. Oh yeah. That's the usual. The space between my ears, it's filled with thoughts and emotions. They're not always loving and they're not always true. There's thoughts that are poison, in instant reaction of dislike and judgement. Love is a decision yeah, a choice and an action in the world out there, and the same laws of physics apply for the world in here. There's choices every moment for how I react. What I believe about myself, what I believe about my Dad, what I believe about our Dad. I've noticed so many attitudes in my head telling me lies, judgements about people and myself who I suddenly despise. When the bible says to take every word captive, I imagined a huge net of rainbows and of butterflies. But there's good and there's evil, there's light and there's dark. One of them is from God and the other certainly is not. The people around us, our peers and mentors, their attitudes and opinions have a massive influence. But the crux of the matter is what we choose in here. The battle is raging, whose side are we on? Whose advice are we listening to? Whose flag are we flying? Sure I can decide to love, but I need to decide to listen. To actively pick up every thought that flits inside my mind, to question, is it agape? Is it from God? Or is it a lie? Am I focusing on poison, giving it the power to destroy me from the inside? Do I now need to fear? Am I destroying myself? In the midst of the fight I've forgotten the punch line: God isn't simply a figure on my bookshelf. He's alive, he's here, in both of my realities. I don't need to sit there alone, sifting the bullets from the beauty, but simply need to ask for his perspective, to view the way that he sees. To choose truth, not poison; life, not distortion. Not just a good idea but to be actively lived out. Not a spirit of fear, but of power, love, and a sound mind. THAT is the influence that I choose to let surround. Dear Friends - I wanted to share with you this work done by three of our students at Incarnate, as a sample of what they wrestled with, concerning the implications on humanity of being made in the image of our Trinitarian God. It was a remarkable effort on a number of levels, and while not being perfect, I couldn't help but share it with you as an example of the kind of interaction we are having here. Please enjoy! 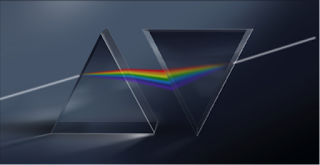 The example of a prism: One source of light (God) gives rise to many expressions of colour for a reason. This assignment was written by H., E., and D. Each of us chose to answer one section of the question. D. has commented on whether we agree or disagree with the reaction in the essay (Bill Drake wrote on "The Myth of Biological Race" by Eloise Meneses). E. has commented on what she has learnt from this essay that she didn't know before. H. has commented on how the ideas in the essay intersect with the teaching on the Trinity. I agree with the conclusion of the essay by Bill Drake, which is written in response to the essay by Eloise Hiebert Meneses. Drake's conclusion to his essay reminds me of a personal experience I had while serving in Missions. I met an older lady in Talamanca, Costa Rica. She was illiterate. Nevertheless, she found the Bible in audio tapes and she memorized the whole Bible. What I learned from this experience is that there are no limits when we desire God with our whole heart. She didn't have anything and at the same time she had it all. Each culture, tribe, and tongue have their own essence. It's impossible to think that we cannot learn from one another just because we are different. Even though, we are from different cultures and we have different personalities and knowledge of the world around us, we should feel proud and thankful of the way God made us. Each different country and culture that we are from is individually important. They all matter equally. What stuck out to me was that race and ethnicity are different things. I learnt that the answer to solve racism isn't to simply merge everyone together and so become 'equal' in that way, but to look at it from a different perspective. Genesis 1:27 tells us we're all created in his image, and 1 Corinthians 12 talks about how we're all parts of the body and none is more important than another; each part has something valuable to bring to the table. I realised that the 'us and them' mentality is an issue in (my country) and so I found it so interesting that God has created us in a way that is scientifically proven to not be separate races. Ethnicity and culture is not here to separate us or to give levels of importance to people groups but to bring us together, not as racial groups somehow making it work, but as God's people celebrating the beautiful differences he's given us. Somewhere along the line, a group of people (Caucasians), driven by a healthy desire for exploration (being inquisitive is normal and good) and spices (desiring that which tastes good is positive), made a decision that their difference in skin colour, their race so-to-speak, meant that they were not only different in some manner, but that they may be superior. The sin of the illusion of superiority overran a positive desire to explore other parts of the world (ie- diversity). The illusion of superiority resulted in colonisation, and later on, it resulted in the South African apartheid. We still suffer the consequences of the decision that was made, somewhere along the line, that one group of people was 'better' than another. The South African economic structure, employment opportunities, and education/ literacy discrepancies are still testament to the wrong thinking that crept into one, or perhaps many mens' hearts centuries before. Drake's essay, which responds to Meneses' essay, makes it clear that we as human beings are one body of people made in God's image. I am not a scientist but am aware that genetics have made it such that many skin colours, body shapes and types have been brought into the world through genetic mutation. Due to us all being One in the body of Christ, this would mean that God would need to have created all of these facets in people. He created male and female (Genesis 1:27. So God created mankind in his own image, in the image of God he created them; male and female he created them). God also created the potential in people as different and diverse in terms of culture and place of origin. With reference to the Jewish people group and the Gentiles (non-Jews), one people group had power over another due to the political setting of the time Nehemiah 5:8 "As far as possible, we have bought back our fellow Jews who were sold to the Gentiles. Now you are selling your own people, only for them to be sold back to us!" They kept quiet, because they could find nothing to say. These two cultures were different, yet one had power over another at the time. Later on in history, the Jewish population suffered under the rule of the German government and many Jews lost their lives during the Holocaust. This is another example of how diversity is seen as negative, as opposed to positive. Preserving one race or ethnicity unfortunately became more important than celebrating differences. Due to God being tripartite, having three roles, but being fully One, we as His followers, no matter what so called 'race' or 'ethnicity' we are, need to imitate diversity (many roles and different types of people) as well as unity (the trinity functions in complete unison). 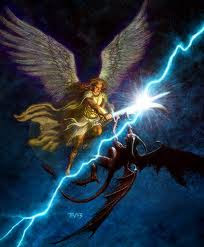 Acts 10:38 …"God anointed Jesus of Nazareth with the Holy Spirit and power, and how he went around doing good and healing all who were under the power of the devil, because God was with him. What I take from the above scripture is that The Father needed Jesus to show His (God's) love to the world. Jesus needed The Father because this is where he (Jesus) took his power and authority from, as well as directions. Jesus needed God's Spirit as this is what physically and spiritually gave him the power to carry out His Father's commands. The Father never gave Jesus a direction that He (God) didn't provide for. The Father, Jesus and the Spirit work in unison. If I examine scripture, I am aware that my thinking has also been wrong. I am fully aware of the fact that one people group is not better than another, this is settled. As D. has said: We "all matter equally". But my thinking is incorrect in that I have accepted that history is just how it is. What has been missing from my thinking is this: There is no fear in love and God (the trinity) IS LOVE. There is no fear in love. But perfect love drives out fear, because fear has to do with punishment. The one who fears is not made perfect in love. 1 John 4:18 NIV. It is truly possible that one people group could have arrived on the shores by ship to the home of another people group many years ago without difference getting in the way of celebrating diversity. Perhaps if the fear of losing what one has to the pale strangers that just arrived was not present, then it may have worked. Perhaps if both people groups decided to love their differences and share their skills, and resources, they may have come to a better outcome. If love replaced fear and wrong exertion of power, then the outcome would have been more Christlike. History cannot be un-done, however, it can be examined with right-thinking and hope. I return to the image of the prism- if we acknowledge that there is one source of light (UNITY), then it is easier to understand the equal importance of each colour and expression (DIVERSITY) which comes forth from it. The need for a stop-over station on the sea journey from the Netherlands to India, in the quest for spice, as part of the Spice Trade; was the inception of the Cape of Good Hope in South Africa. The DEIC (Dutch East India Company) settled in the Cape and Caucasian people inhabited the same spaces as Khoisan and black people (Negroes as it was termed) who were already living there.